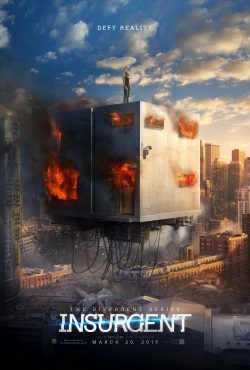 Insurgent is the second part of the Divergent trilogy. I missed the first film when it came out in 2014 but the second one does look great. It is quite a clichéd idea but the books that the film is based on is for the young adult market. Not only that, it does have Kate Winslet in it as well as Naomi Watts in it. No only do we have the trailer but two posters and a set of character posters to keep you interested before the film comes out later this week. 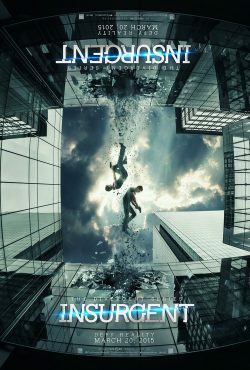 Tris and Four are now fugitives on the run, hunted by Jeanine, the leader of the power-hungry Erudite elite. Racing against time, they must find out what Tris’s family sacrificed their lives to protect, and why the Erudite leaders will do anything to stop them. Haunted by her past choices but desperate to protect the ones she loves, Tris, with Four at her side, faces one impossible challenge after another as they unlock the truth about the past and ultimately the future of their world.